To round out the weekend break of favorite nook is a new guest but an old favorite. Its Maggie Rose (aka Magchunk). I've been following her for ages so I'm so happy she agreed to stop by with her favorite spot.  Hi Brooklyn Limestone fans! I'm Maggie from design blog Maggie Rose and I'm so pleased to be here today sharing my favorite nook in our home in Seattle. We moved in last October, and our office has been in a constant state of flux. Now that I think I've finally gotten thing on my desk where they are comfortable and convenient to use, it's becoming my favorite spot to be - which is good, because it's where I spend most of my evenings after work, blogging and working for my e-decorating clients. The desk is the West Elm Parsons and I sit in an old dining chair that was my grandparent's long ago. Someday I'd love to get a white rolling office chair (like this one!) but for now Thisbe approves of this one so it stays! For a while I had a lot more stuff on my desk but since Thisbe spends so much time up here, it's easier to dust around fewer things! From left to right, my wire file box is vintage, from etsy seller Ethanollie. My two paperweights (in file box and on top of the magazine pile) are chunks of crystal and amethyst, both found at flea markets for under $15 a piece. The jar is waiting for a final decision from me - I just brought it home from my moms because I love the shape! And I always keep a notebook close by. Hope you enjoyed a little peek into my organized and thought-gathering nook. You can see more of our house in Seattle over at my blog, Maggie Rose. I say keep the jar! It's nothing like looking out to the world for inspiration. Great space. and I agree keep the jar. I never tire of seeing the parsons desk - lovely nook! Great spot for a desk! I say keep the jar and put beautiful flowers in it each week! I know I'd never get anything done because of the window. It's a daydreamer's heaven. I love this "nook" feature. And I'm keeping the jar! I think the cork is my favorite part so I'm thinking of treating it like an apothecary jar with some sort of little curiosity in it (or maybe a mini dried bouquet or wildflowers). And thanks to Stefanie for her kind introduction, and for having me!